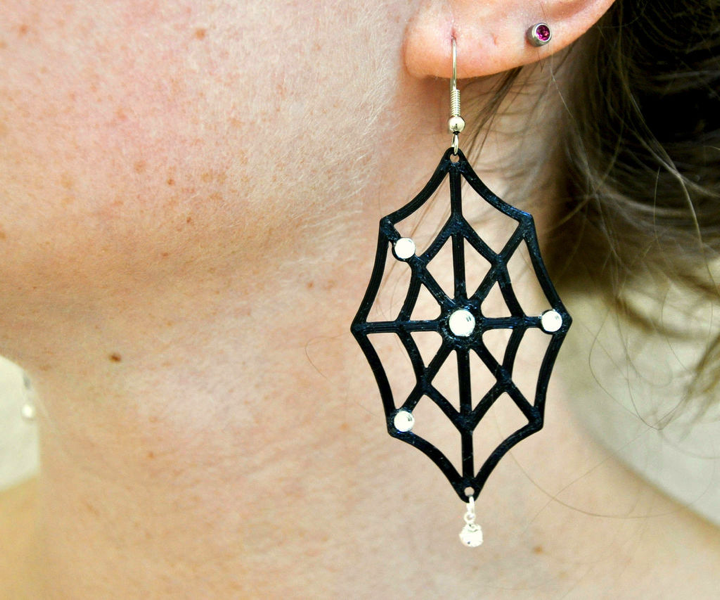 #3DPrinted Spider Web Earrings #ElectronicHalloween #WearableWednesday « Adafruit Industries – Makers, hackers, artists, designers and engineers! We’d rock these earrings from Penolopy Bulnick on Instructables any day of the year! I was looking at Halloween jewelry when I came across a pair of spider web earrings. 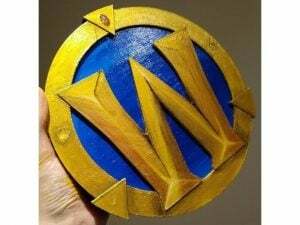 They made me really want to make a design of my own. So after some tests, I came up with a simple 3D printable spider web design that allowed for a bead to dangle off the bottom and cutouts for rhinestones.